1. Films completed after January 1, 2009 that were not already previously submitted to the selection committee may compete. 2. Genre, plot and shotting format are free (submission of ficition short movies, documentaries or musical comedy… are allow), though the required format for any film submitted to the festival is DVD PAL (please test before sending). Films must not exceed 16 minutes (credits included) in length. Non-Spanish language films must have Spanish subtitles or no dialogue. 3. The deadline for reception of films is 23th of May, 2011 (date of postmark) at the latest. If the films do not arrive in the 15 days following the above deadline, the submission will not be considered complete and the film will not be taken into account for selection. 4. Directors may send only a short film per author. 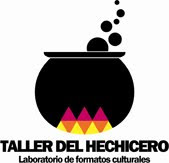 The inscription will be formalized by the film´s postal submission to, or handing the film over at ASOCIACIÓN CÁMARA LENTA – c/ Urbión, nº 20, 1º D, Sevilla (41005), España. 5. You may include in the submission a DVD PAL with the film. You may send also the technical data and a synopsis of the film. A telephone number and an email for contact porposes are also required. 6. The festival´s organisation team will select the short films to be included in the films screening sessions of the festival that will take place from 20th to 24th June, 2011. A jury will decide the Best Short Film Award ‘Por Caracoles’ (Mejor Corto Por Caracoles) among these films selected for the screening sessions of the festival. The jury will be made up of people involved in the Media and Cultural life of Sevilla. 7. 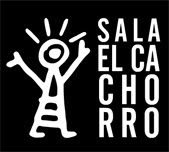 The Best Short Film Award ‘Por Caracoles’ will have a cash reward that will be the result of the sales of snails tapas made by Sala El Cachorro during the screening sessions (deducting the cost of all raw materials needed to cook the snails tapas). 8. There will be two more awards: The Snail of the Audience Award (El Caracol del Público), which is based solely on audience voting at the film's screening sessions. The other award is The Homeland Snail Award (El Caracol de la Tierra), which will be decided by a special jury made up of three members of ASECAN (Andalucian Film Writers Association), this award will choose the best Sevillian produced short film (short films made by production companies based in Sevilla province and/or made by filmmakers who have being borned or are living in Sevilla). This two awards will not have any cash compensation but a handmade trophy made of Triana's traditional pottery. If the winner of The Best Short Film Award ‘Por Caracoles’ will turn out to be a Sevillian produced short film, this awarded film will not be awarded with The Homeland Snail Award, in this case, another short film produced in Sevilla will be awarded with this last award as a consolation prize. 9. The festival´s organisation team is committed to communicate by phone or email to each of the persons responsible for the films selected to be screened at the festival´s screening sessions. DVDs and other materials will not be returned under any circumstances. Nevertheless, participants may be able to get their films back within a period of 15 days after the festival end. 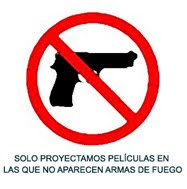 All films not recovered by their author will become part of the film library of Cámara Lenta Association. Cámara Lenta will be entitled to screen any of these films within the screening sessions carried out along the year by Cámara Lenta in Sala El Cachorro (these screening sessions are all free and open to the general public). Cámara Lenta is committed to communicate to any author or distributor about the screening of any film in Cámara Lenta. 10. Participation in the Festival implies acceptance without reservation of all the terms outlined in the present regulations.